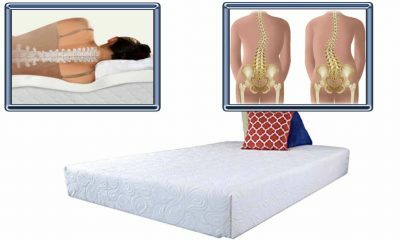 Side sleeping is the most common position, choose a pillow to provide you with firm support and spinal alignment. Make sure you have a really good pillow under your head at night, one suited to your preferred sleep position. 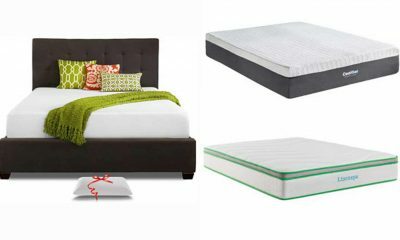 Here are the latest reviews of the 3 best pillow for side sleepers. 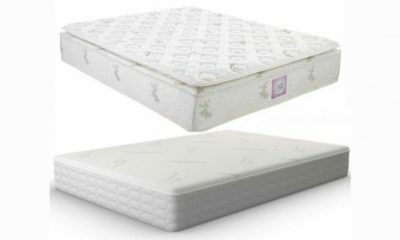 Memory foam provides side sleepers with firm support throughout the night. 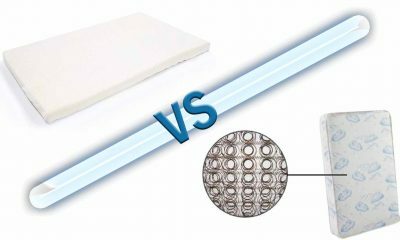 First generation memory foam had the drawback of getting hot; third generation memory foam utilizes gel, to reduce trapped body heat and keep the pillow cool. The Snuggle-Pedic pillow is designed to keep the sleeper comfortable with a cool pillow all night long. This pillow is suitable for all three sleeping positions. 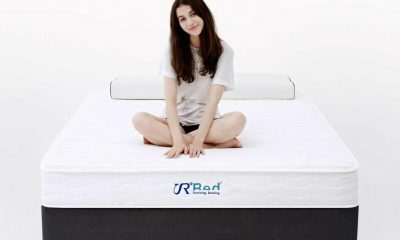 With a zipper removal outer cover, the pillow may be adjusted for thickness, by adding or removing the shredded foam, to suit the sleeping style of the user. 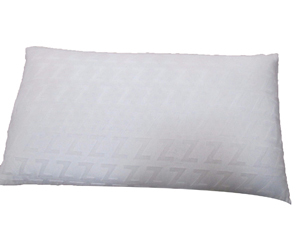 With a breathable bamboo and polyester cover, the pillow is designed to stay cool all night. 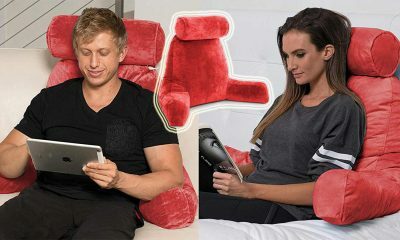 Filled with shredded third-generation memory foam, the pillow will stay firm and provide neck support in all positions. Snuggle-Pedic pillows sold by Relief-Mart Inc are guaranteed genuine, with a 20-year warranty and a 90-day sleep trial. 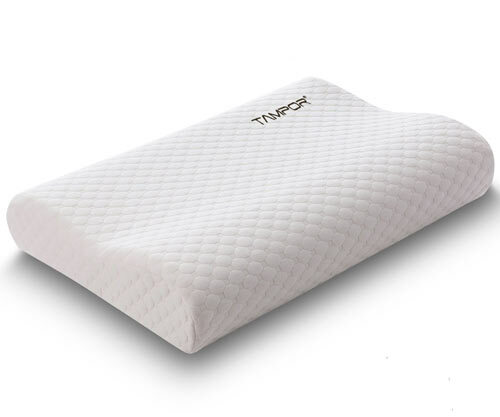 Memory foam pillows are one of the top two pillows side sleepers can get for maximum neck support, and are guaranteed to last a long time. This pillow is on the pricey side, but it lives up to its hype and is well worth the extra money. 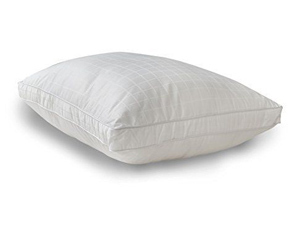 The Coop Home Goods pillow is another shredded memory foam fill pillow, in a bamboo-derived rayon and polyester covering. The pillow is fully adjustable by the user, and is suitable for all sleeping positions. It provides complete neck support, and promotes proper spinal alignment, ensuring restful sleep. 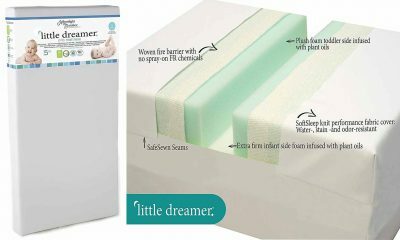 The filling is third-generation memory foam, with a open-cell solid structure, but inclusive of gel, to facilitate cooling.Memory foam is naturally mildew and dust mite resistant, so the pillow is hypoallergenic. 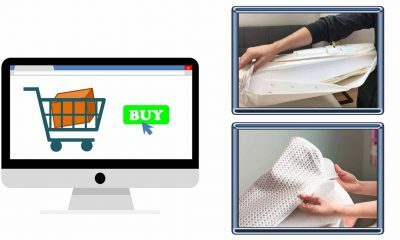 The pillow is easy to care for and is machine washable; to facilitate the pillow retaining its shape, washing it in a zippered pillowcase is a good idea. Coop Home offers the pillow with a 5-year warranty and guarantees the pillow with a 30-day, no questions asked refund policy. 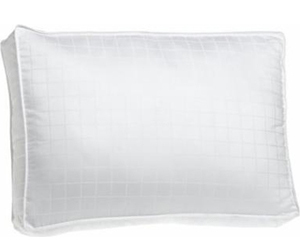 This Good Life Essentials pillow is another shredded-memory foam product, with a bamboo-derived rayon and polyester cover. 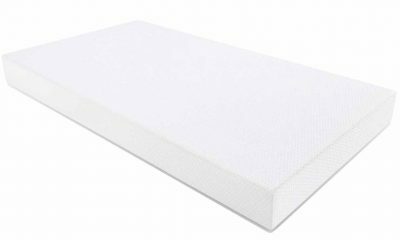 The third-generation shredded foam is completely adjustable by the user, to customize the pillow for their particular sleep needs by adding or removing the shredded foam. The pillow is made in the USA, and comes with a lifetime warranty. It is backed by a 30-day, no questions asked refund policy. . 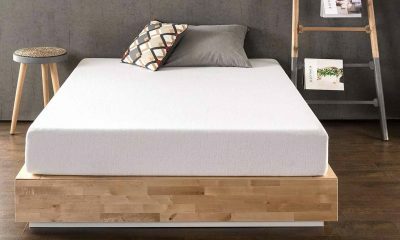 This offering is not memory foam, but Talalay Latex, a natural latex with no synthetics included. 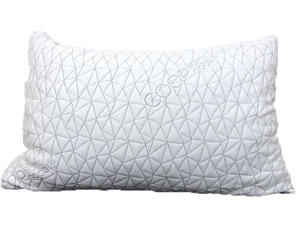 Naturally mildew and dust mite resistant, the pillow is hypoallergenic and firm. It comes with a breathable velour cover, made from a bamboo-derived rayon and polyester blend.The pillow is zoned for back and side sleepers, with a zone of 6 – 7” loft, and one at 4 – 5” loft. As the pillow is made from a solid material, it should retain its firmness during its service lifetime. The pillow is ventilated, to promote airflow, and to keep it cool. This pillow is one we would call an experiment – the only way to know if it suits you is to try it. It comes with a 5-year warranty, but there is no information on a refund policy. Given this, we suggest you ask about refunds and returns before you 6purchase. 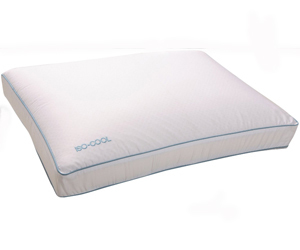 The Iso-Cool pillow is another down-alternative filled product. 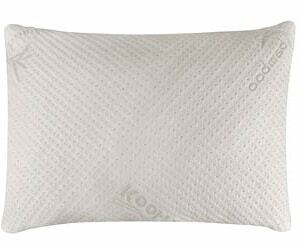 It is 100% polyester filled, with a cotton fiber cover.The pillow has a 3-inch gusset, to offer loft. The pillow is designed to give the user a cooler night’s sleep. 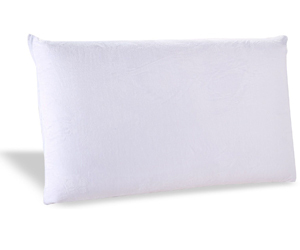 Designed for side sleepers, the pillow is hypoallergenic and made in the USA. 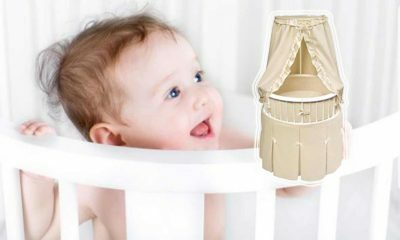 Machine washable, but you may want to wash it inside a zippered pillowcase, to maintain shape. The Beyond Down Gel Fiber pillow is not a memory foam pillow, but is a down alternative pillow, filled with a micro dernier gel fiber. This fiber is supposed to imitate the feel of goose down; the question is if it maintains enough firmness to support the neck properly during sleep. The pillow has a 4.5” gusset for loft, and is machine washable. Like synthetic fiber pillows, it may be a good idea to wash this one in a zippered pillowcase, to maintain its shape. For side sleepers who prefer the feel of down, but need firmness, this pillow is a good alternative to down, and may have a longer useful life. The Conforma pillow is a memory foam pillow; it is not a cover with shredded memory foam inside, but a pillow sculpted out of memory foam.It is not adjustable by the user, but it does provide support for the neck, head, and shoulders during sleep. As it’s made from memory foam, the pillow will retain its shape and last for a long time. Third-generation memory foam is constructed to reduce body heat, and this pillow is ventilated for additional cooling while you sleep. It comes with a removable cover, which is machine washable. 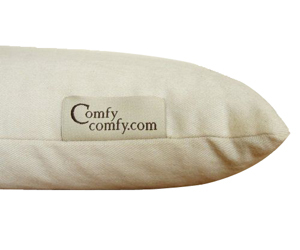 The buckwheat pillow by ComfyComfy is filled with all natural buckwheat hulls. 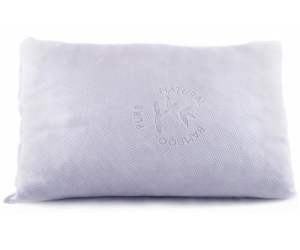 Manufactured in the USA,the pillow is filled with USA-grown buckwheat hulls, cleaned without fumigants and chemicals.The pillow cover is made from organic cotton twill, also grown in the USA. Preloaded with five pounds of buckwheat hulls, the 15” x 23” pillow comes with an extra pound of buckwheat hulls, to allow the user to customize the firmness. This handmade pillow is produced in the USA by a family business and is sure to please the user. 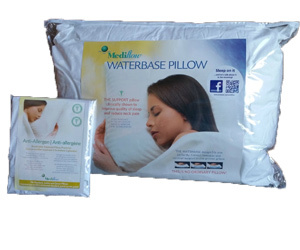 The Mediflow Original Waterbase pillow is unlike every other pillow we’ve reviewed here; it is not a down alternative, buckwheat, or memory foam pillow, but is instead filled with a soft, fibrous material sitting on a water pouch base.The water pouch is customizable to the desired firmness level by adding or removing water, and the pouch adjusts itself to maintain firmness as you move during sleep. Clinically shown to reduce neck pain, this pillow provides a cool, satisfying night’s sleep while maintaining proper spinal alignment. It comes with a one-year warranty and a 30-day satisfaction guarantee. How to Choose a Good Pillow for Side Sleepers? Most of us take our pillows for granted. 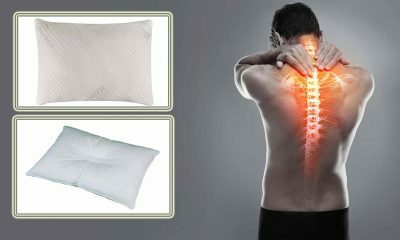 We usually purchase the cheapest ones we can find, because we’re totally unaware of how important the pillow is to good sleep; unless we’re into health and fitness, we have no idea how our sleeping habits are affecting our daily lives – whose mother ever admonished them about keeping their spines in alignment while they slept? 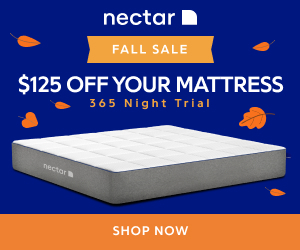 We may pay attention to the firmness setting, or whether or not the pillow is for side sleeping or back sleeping, but the pillows you find in your local big box retailer are not geared to giving you restful sleep. To obtain the best sleep possible, you need to look beyond the top 10 pillows and focus more on the materials. Buckwheat, actually buckwheat hulls, is a natural filler, and it has several advantages. First, you can fill a pillow to the desired height and firmness, and should you need to change it, simply add or remove hulls until the desired height and firmness are achieved. Secondly, buckwheat pillows do not conduct heat the way synthetic fillers do, so the pillow remains cool. Buckwheat hulls tend to hold their shape, but in the event flattening occurs, simply refill the pillow with fresh buckwheat. Third, buckwheat pillows are flat and even; you don’t get the shape changes that occur with synthetic fibers. Buckwheat is heavy, so the pillow is harder to move around, but it’s also not as necessary to flip the pillow due to heat buildup. 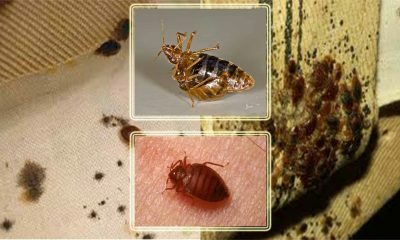 Buckwheat also tends to be noisy; the hulls make a whispering or crackling sound as the sleeper moves his or her head around during the night. 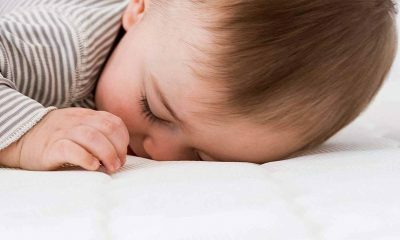 It is easy to get accustomed to the noise, so it doesn’t keep the sleeper awake, but there are those who never adjust to it; a memory foam pillow is a better choice for these noise-sensitive sleepers. Memory Foam is a product of the Space Age. It is produced by injecting gas into a polymer matrix, creating an open-cell solid structure. 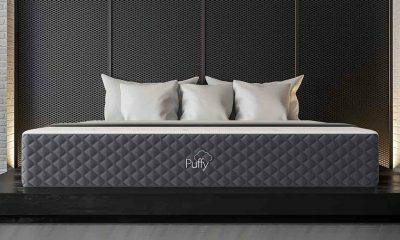 In its third generation now, the foam utilizes gel in the matrix along with the polymer, to reduce trapped body heat and make the foam softer. Memory foam pillows last a long time, but they do eventually get hard and have to be replaced. Gel is a cool filler, and as long as the gel holds together, a gel-filled pillow provides good support. However, after usage, the gel tends to separate and the pillow loses support. 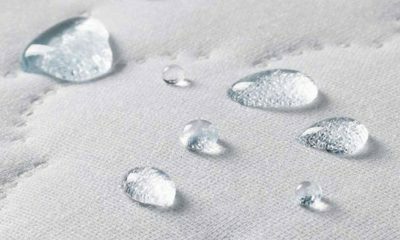 Third-generation memory foam utilizes gel when producing the foam, to reduce heat buildup and keep the pillow or mattress cool. 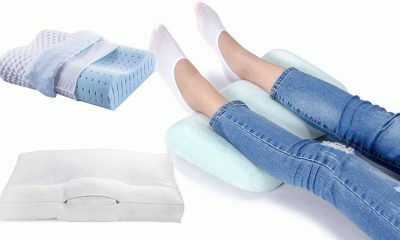 Water pillows work great for back or side sleepers; they are easily adjustable by adding or removing water, they stay relatively cool throughout the night, and provide consistent support for side sleepers. The drawback is water is heavy; one gallon of water weighs eight pounds, and it takes more than one gallon to fill a water pillow to a firm status. There is also the possibility of a leak during the night, which is a potential drawback to sleeping on water. the inner feathers from geese or duck – has filled pillows for centuries; the problem with down is while it has great loft, it’s soft, and it loses shape quickly. For a back sleeper, this is not a big deal; for a side sleeper, however, it is. Once the down loses its loft and shape, the pillow needs replacing to provide the firm support your neck needs during the night. It is possible to bunch the pillow together, to regain support for your neck, but this is a temporary solution. 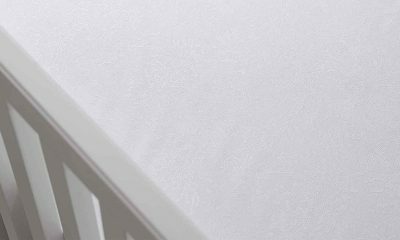 In modern times, manufacturers have replaced down with synthetic foam; the foam doesn’t solve the problems of down, it just takes a little longer to break down. This doesn’t mean a side sleeper can’t have down pillows, but it does mean they should replace them much more frequently than they tend to do; down is not cheap, and most of us balk at having to replace an item so often; we tend to make do until the point where the morning aches and pains force us to replace the pillow. There are no right or wrong answers for choosing a pillow for side sleeping. 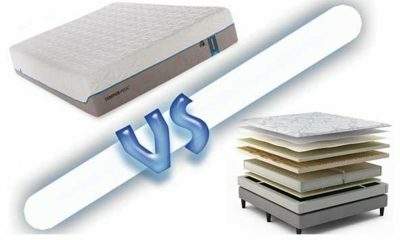 It’s a matter of personal preference and whatever filler and shape suit the sleeper the best. The only requirement is it must support the head and neck of the sleeper, in a manner the sleeper finds comfortable. Contoured memory foam pillows, or buckwheat pillows, are the top choices for side sleepers in terms of firm support for the head and neck. 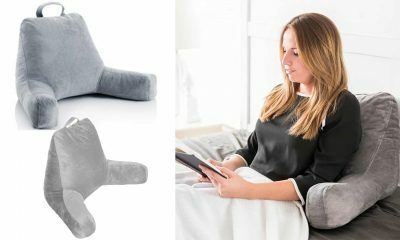 What is the Best Shaped Pillow For Side Sleepers? The best-shaped pillow for side sleeping is a flat, firm, suitably thick buckwheat pillow or a contoured memory foam pillow. Buckwheat provides firm support, but does have the disadvantage of being noisy. The memory foam pillow, on the other hand, has a thick side and a thinner side, making it suitable for back or side sleeping. In side sleeping, your shoulder is in contact with the mattress, and to keep your spine aligned, you need a pillow with a firm, thick edge to support your neck. Either pillow gives your neck firm support and keeps your head and spine in alignment; choose the best one to fit your sleeping tastes and give you a good night’s sleep. The next best shape for a side sleeper is a three-inch thick pillow that won’t lose its firmness. 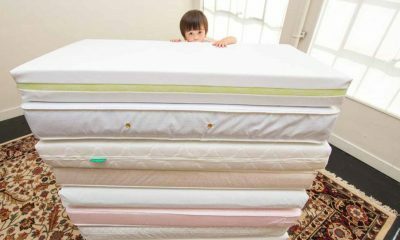 Memory foam, buckwheat, and water all fit this category; down may also fill the bill, but because the filler is not as stable as the other three choices, the sleeper will need to frequently replace the down or down substitute as the pillow loses loft and firmness. We’ve already established sleep is essential. The benefits of choosing a supportive, comfortable pillow for side sleeping and putting between the knees are proper spine alignment, less stress on the shoulder joints, less stress on the lower back, and better circulation. If you side sleep, the importance of a supportive pillow cannot be overstressed – without it, the side sleeper will wake with head, back and shoulder pain, numb arms, hands and fingers, and be tired from the get-go. The tiredness will last all day, and the cycle repeats continuously until the pillow is replaced. How To Sleep On Your Side The Right Way? There’s really no right or wrong way to sleep on your side; the exception is the fetal position. When you sleep in the fetal position, your lower back is unnaturally arched, and this may create strain in the area. However you are comfortable sleeping on your side is what works best. Try not to fold your arms tightly, as this curves your shoulders and inhibits circulation. As long as your neck is supported, sleep however you feel best. If you wake with neck, shoulder, or head pain, look into replacing your pillow and/or your mattress, as your spine is not aligned properly while you sleep. What Is The Best Side To Sleep On? Science has established your left side is the best side to sleep on, especially if you are a pregnant woman. There are fewer organs on the left side to be impeded by the weight of the right side organs, and if you are pregnant, the uterus impedes fewer organs when you sleep on the left side. However, staying on one side all night is usually not possible for a side sleeper, as the pressure on the hips can induce pain; side sleepers turn over frequently during the night, to prevent pain buildups in their hips and legs.